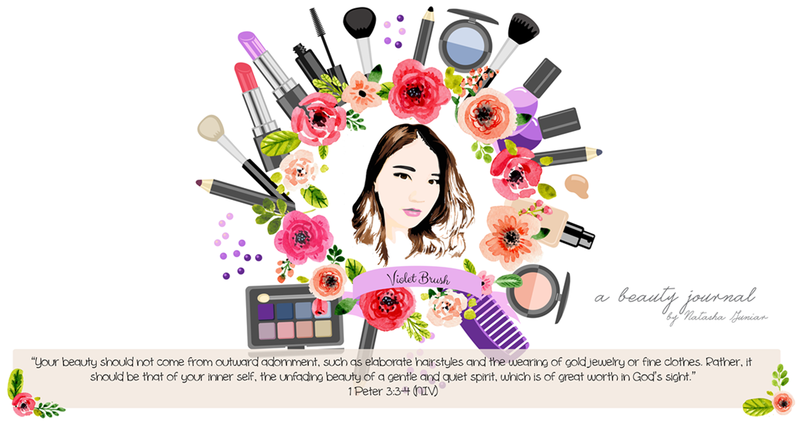 A little bit about The Clinic Beautylosophy, it is a clinic that was established on 2010. 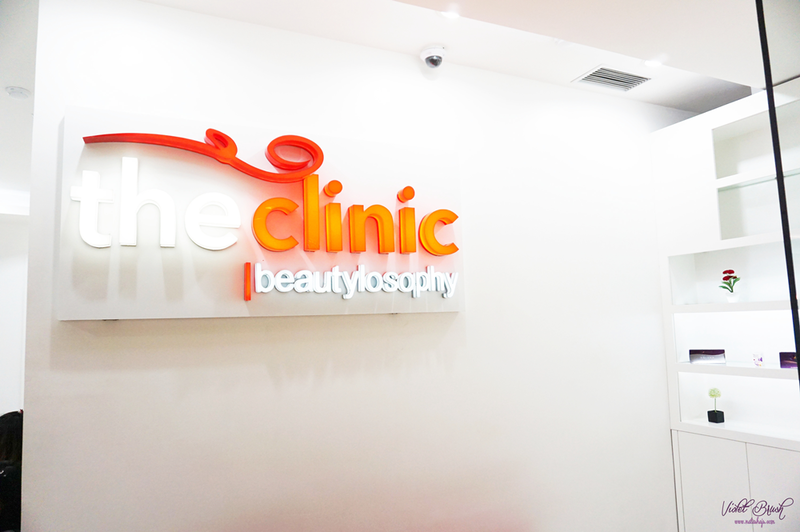 The Clinic Beautylosophy is a One Stop Aesthetic Center with branches in Jakarta (Tebet, Cipete, PIK, Central Park Mall, Tanjung Duren), Bekasi, Medan, Tanjung Pinang, and Kebumen. Treatments, products, and technology that are used by The Clinic Beautylosophy is the most recent one that is used by doctors all around the world. 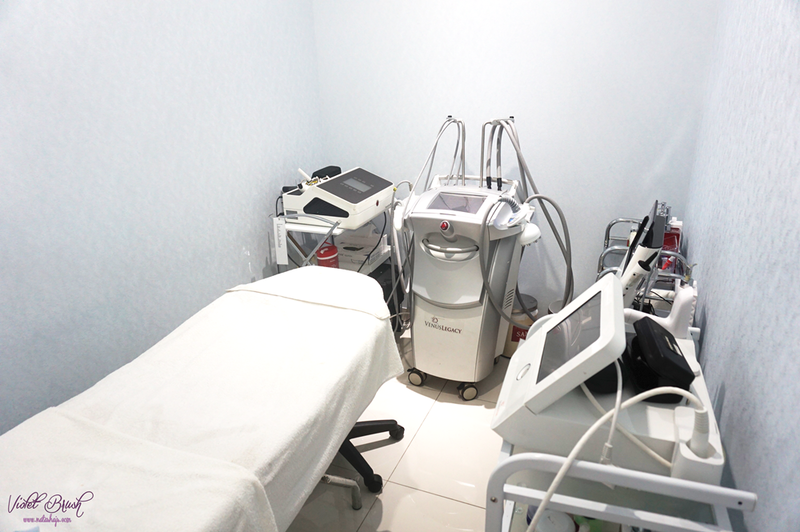 The Clinic Beautylosophy is also supported by experienced and well-certified doctors and medical personnel, locally and even internationally. 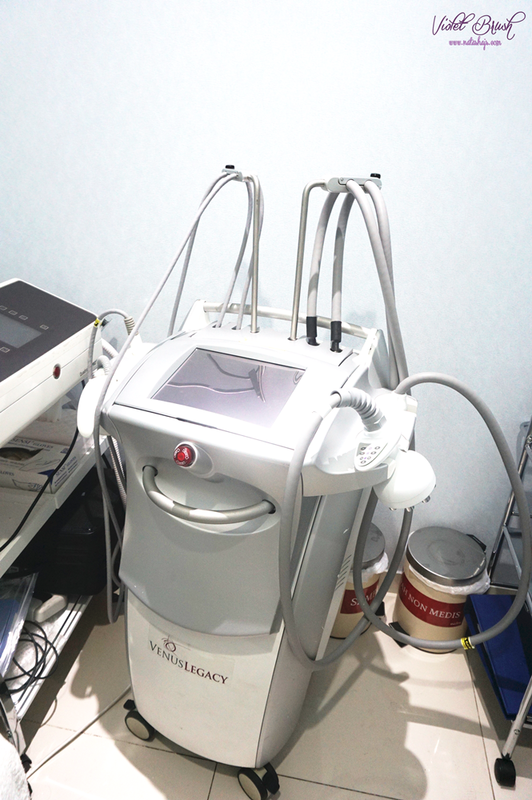 The Clinic Beautylosophy offers beauty-related treatments such as, Plastic Surgery, various Aesthetic treatments (acne treatments, laser rejuvenation, radio frequency, IPL, facial, etc.) and dental care. Next, what is Radio Frequency? Radio Frequency is basically a treatment using radio frequency to dissolve excess fats on certain parts of the body. Radio Frequency could be used to dissolve excess fats on arms, thighs, abdomen, and even your cheeks! I got my treatment at The Clinic Central Park and I really love their interior design! Although it's not so big, it's clean and cozy. The staff started off the treatment by cleansing the area that would be treated with Radio Frequency and in this case, it's my upper arm. Then, the staff applied gel on my upper arm which felt cool on my skin. Next, the staff slightly massaged the treated area with the machine. This is the process where radio frequency is involved to dissolve excess fats. It felt warm and the staff would kindly ask me if it was too hot on my skin. If it's too hot, the staff would lower the temperature. I'm really satisfied with their service. The staffs were really friendly and informative. Sometimes they would engage me into a conversation so that I won't be bored during the treatment. Anyway, for those of you who are busy, worry-free because this treatment only took about 30 minutes for both arm! I believe that the result is the most awaited part, right? Well, I did feel my arms got firmer and slimmer than before although it wasn't really noticeable. I lost about 1.5 cm on the area near my armpit after two treatments, once in a week. Isn't that amazing? Update: I've done my third and forth treatment and I'm very much satisfied! From the third treatment, I lost another 0.5 cm and from the last treatment, amazingly I lost another 2 cm on my left arm and 3 cm on my right arm. Perhaps, it was because the staff that treated me on the fourth treatment was more experience so she targeted the fats accurately. To conclude, I lost a total of 4 cm on my left arm and 5 cm on my right arm. Hello slimmer arms! 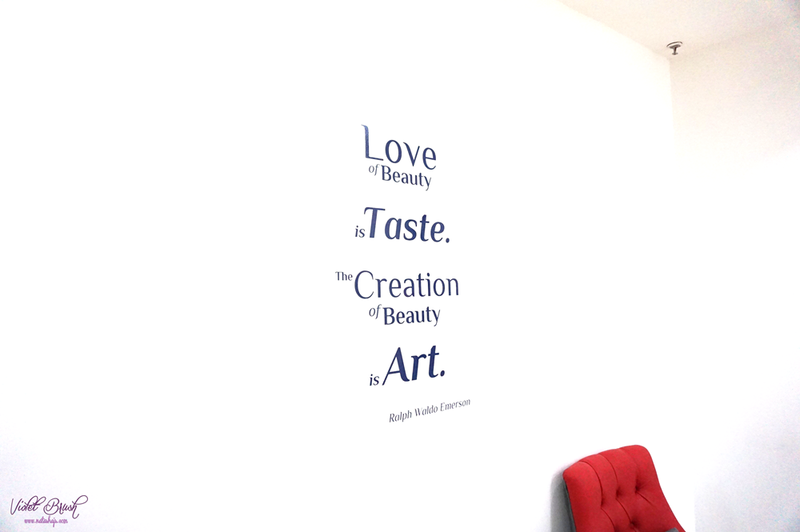 Check out other locations of The Clinic Beautylosophy here.